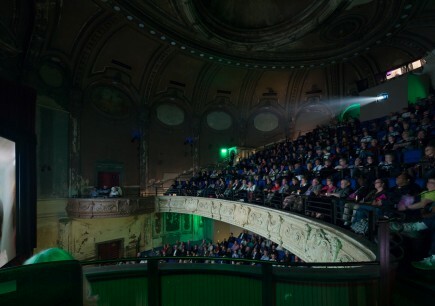 Films tell stories. 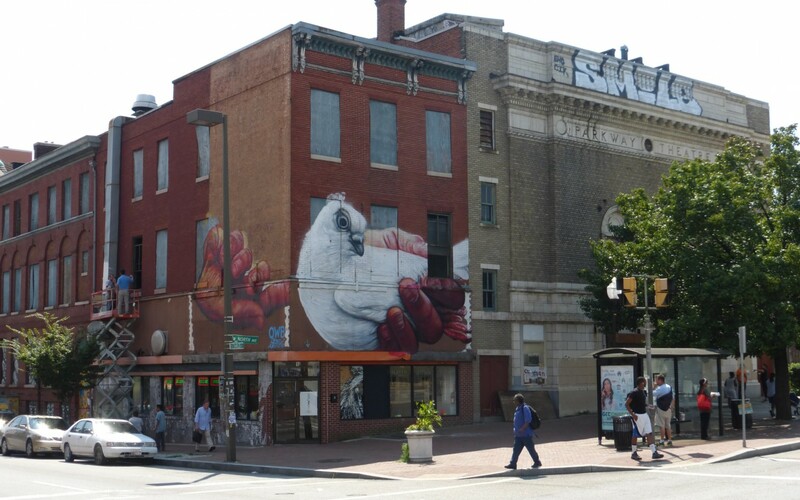 If we pay attention, so do buildings. 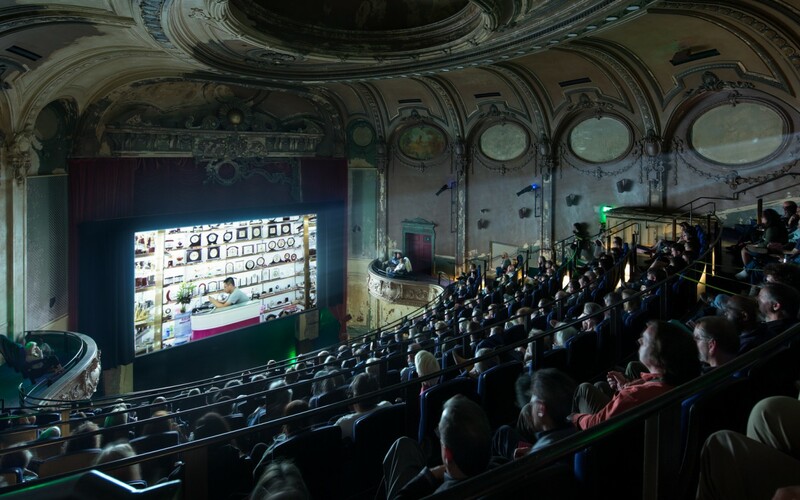 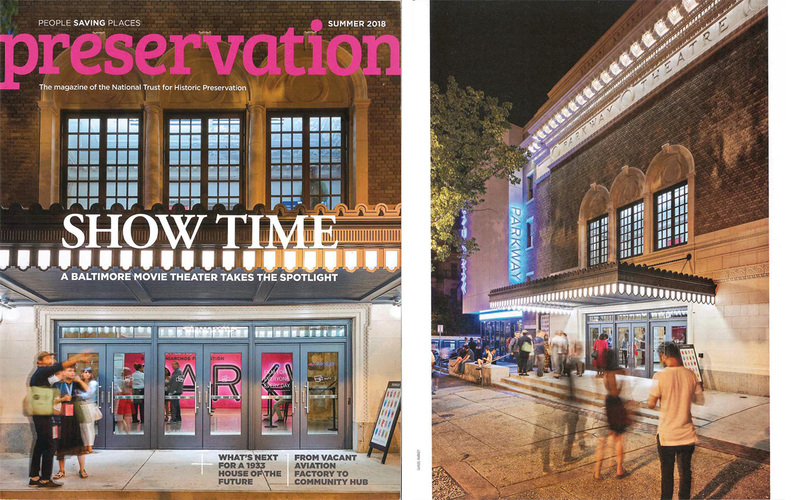 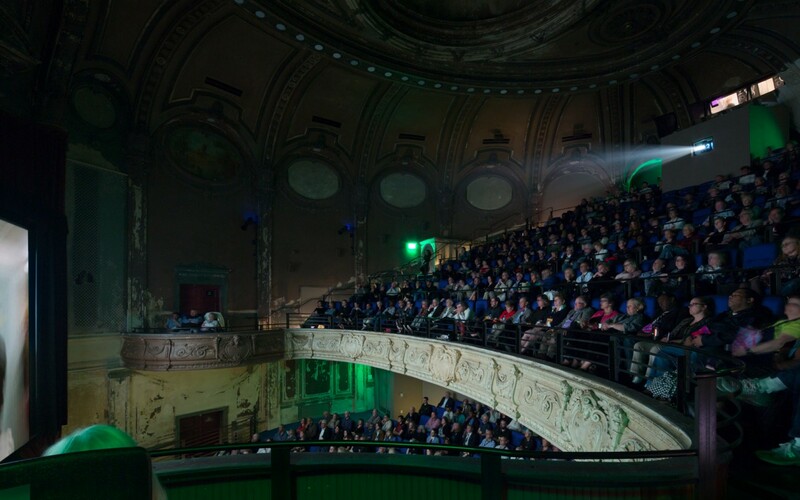 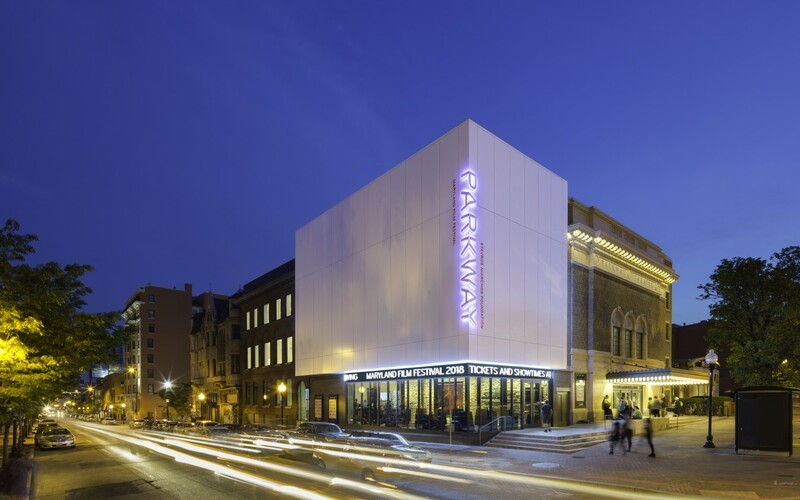 Inspired by many layered stories of the historic Parkway Theater, the design curates an unparalleled movie-going experience. 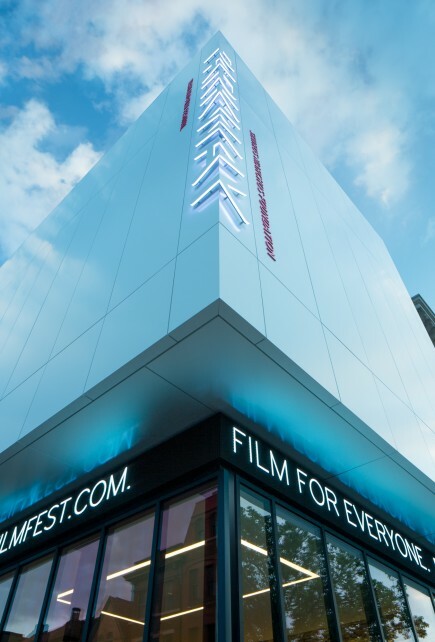 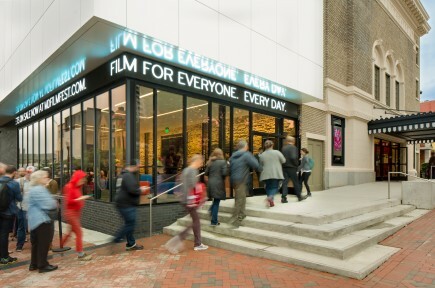 The new SNF Parkway stands as a physical record of the technical and cultural evolution of film from its earliest days to today. 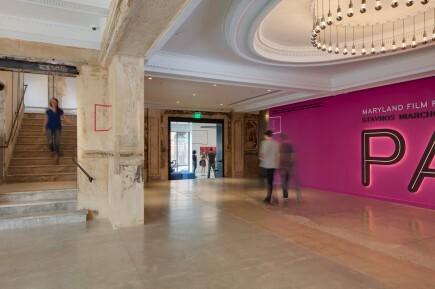 The design approach celebrates the accumulated layers of each movie era with intentional contrast to modern interventions. 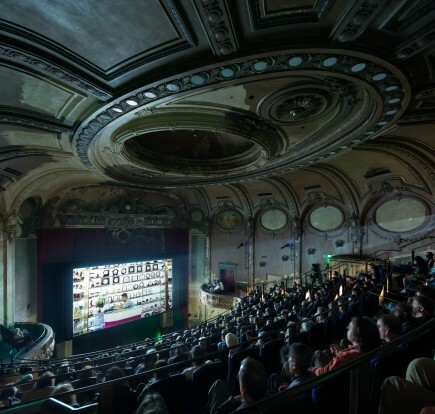 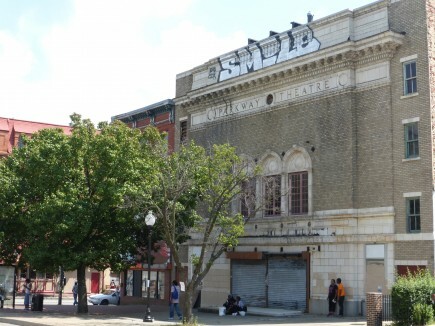 The result is an authentic, rich, vibrant “rescued ruin” that energizes the film complex and anchors its critical location in the heart of the Station North Arts District. 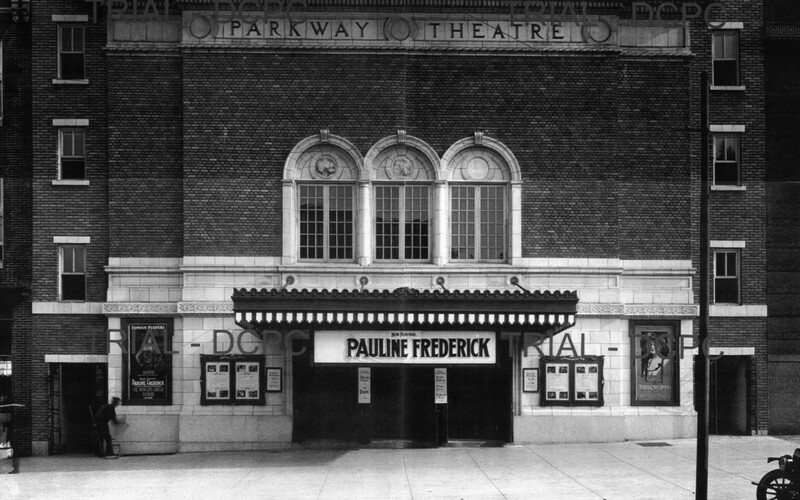 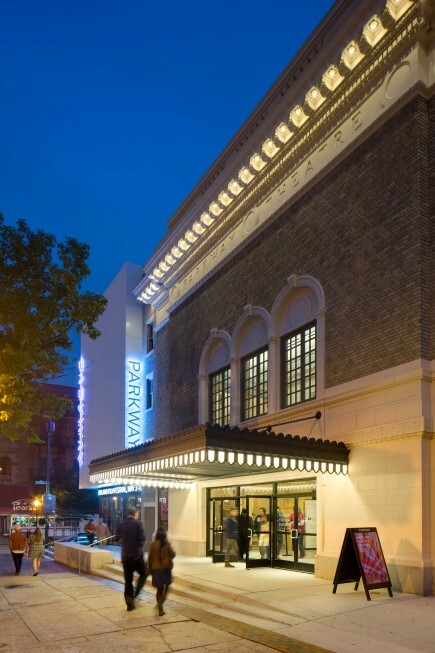 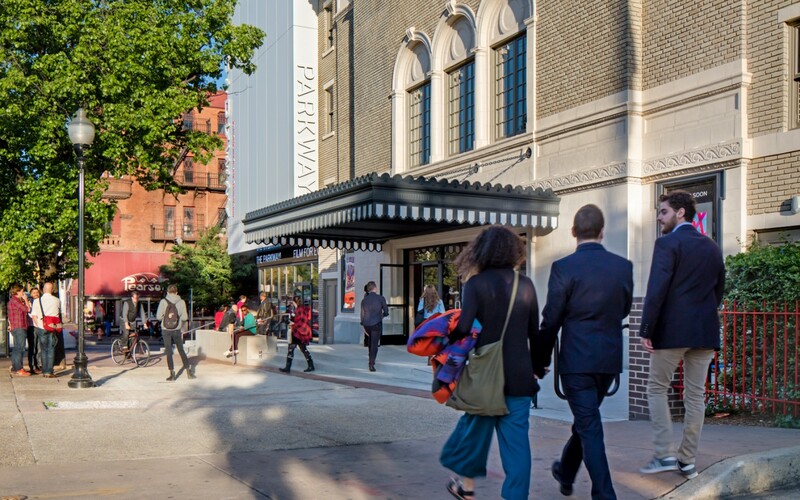 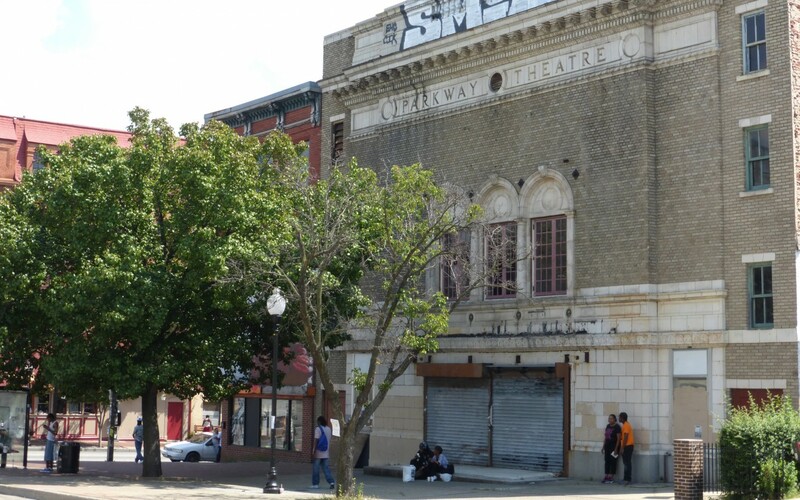 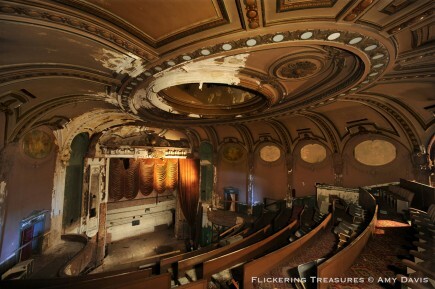 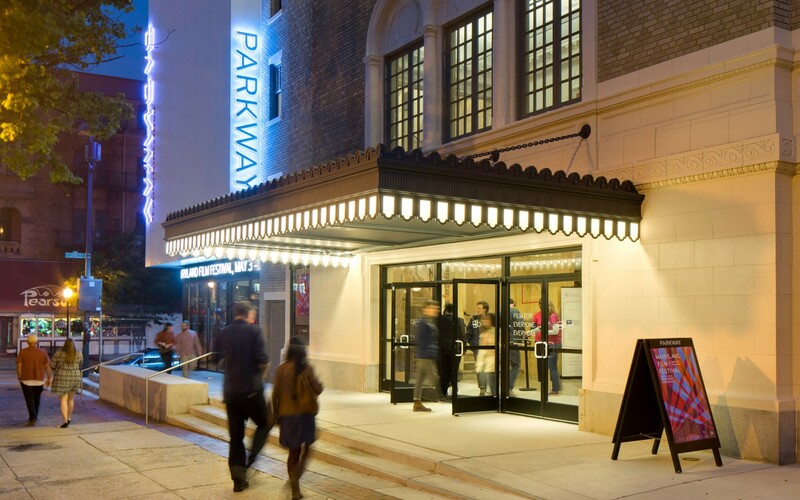 Built in 1915, the Parkway is a rare surviving movie theater from the early era of film, originally lauded for its sophistication and elegant simplicity. 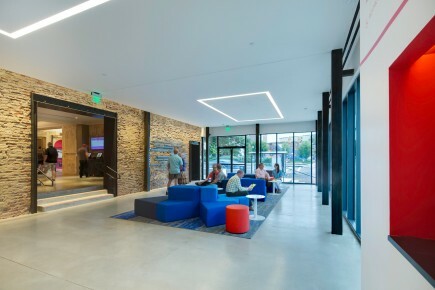 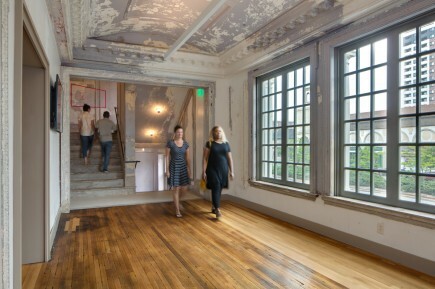 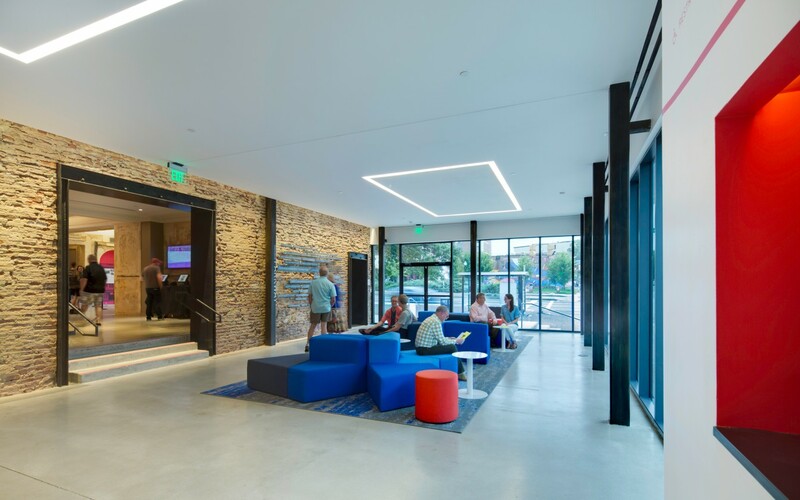 Through the years, a series of renovations removed the ornate side boxes, enlarged the lobby, integrated sound equipment, replaced the marquee, removed seats, and adorned the spaces with layers of different paint colors and finishes. 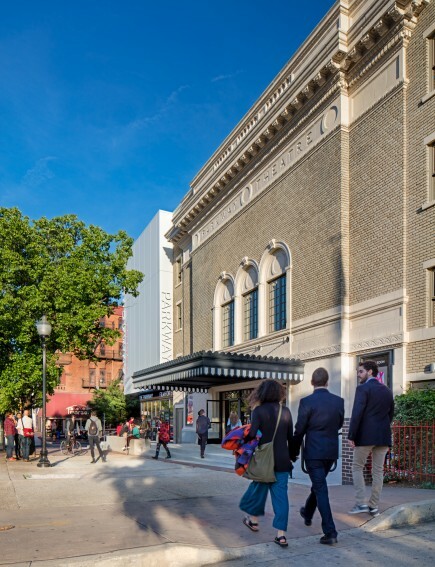 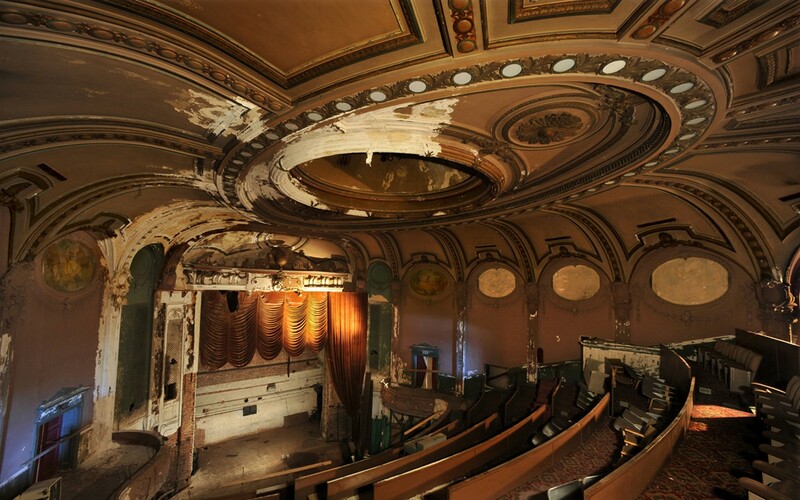 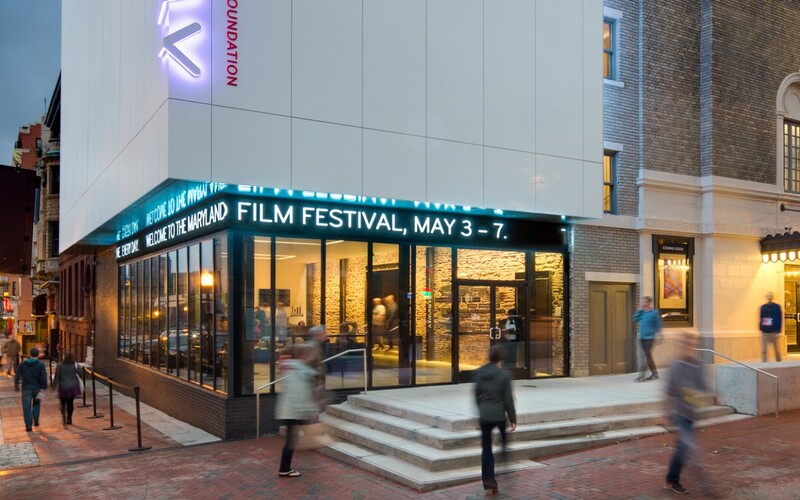 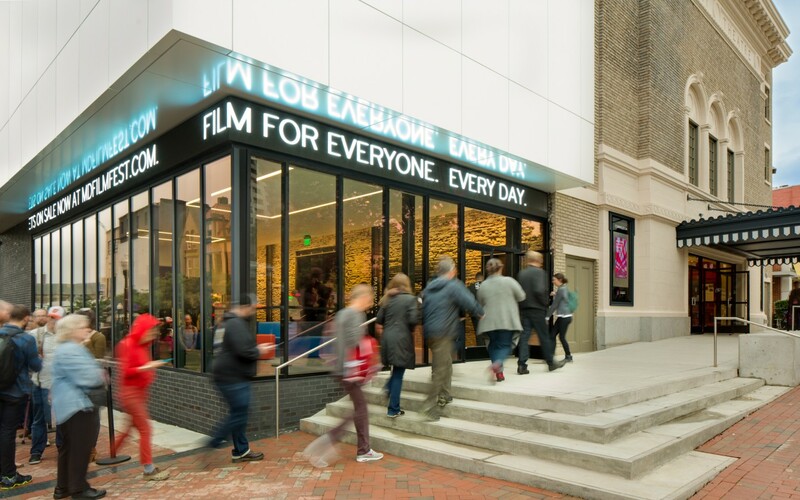 Despite its many renovations, the building retained much of its interior and exterior integrity while adapting to the ever-changing technological, economic, and cultural expectations for cinema through the 20th century. 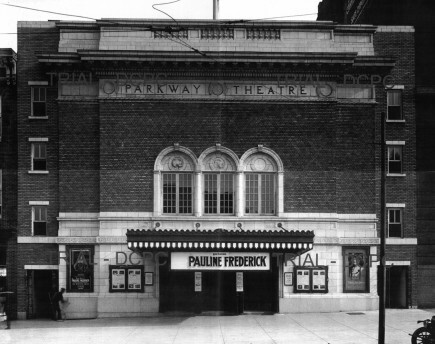 From the late 1970s it struggled, sitting vacant for decades. 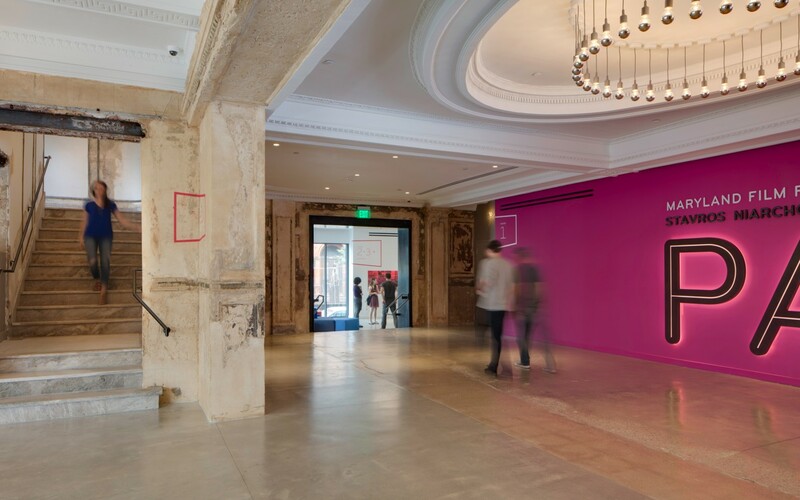 Through artful curation, contemporary audiences absorb the layers of history while experiencing state-of-the-art amenities and technologies. 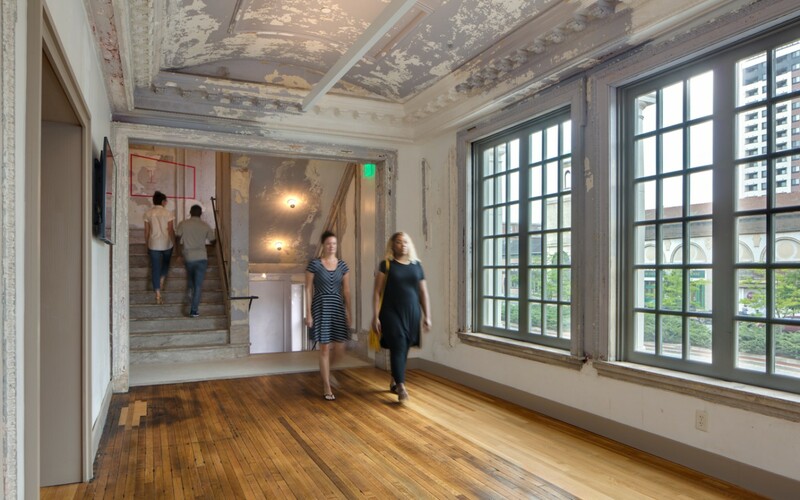 In some instances, layers were removed to reveal hidden layers of history, while other instances incorporated the precise inclusion of new elements that are unabashedly of their time. 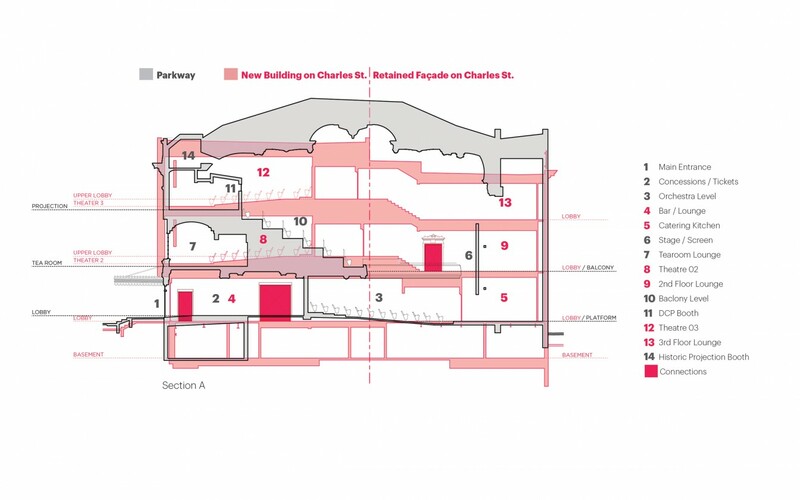 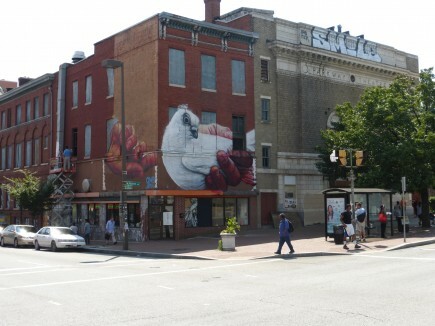 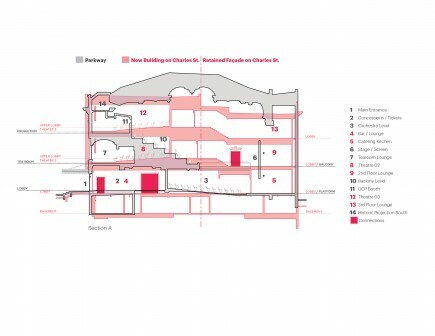 In many areas, several periods of the building’s history coexist side by side. 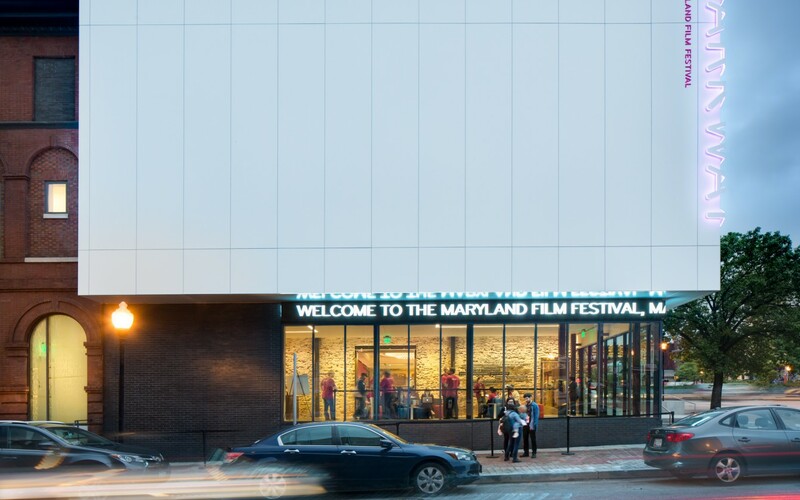 Adjacent new construction replaces a former row house with a welcoming public lounge and two new state-of-the-art screening rooms. 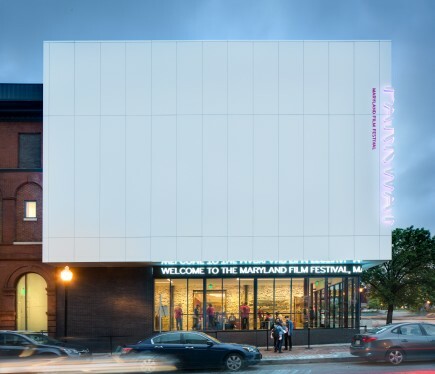 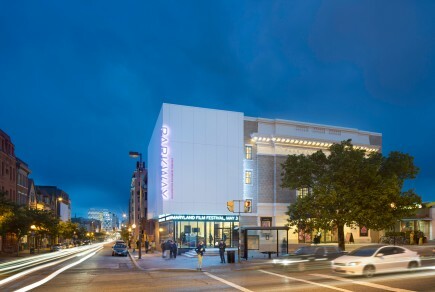 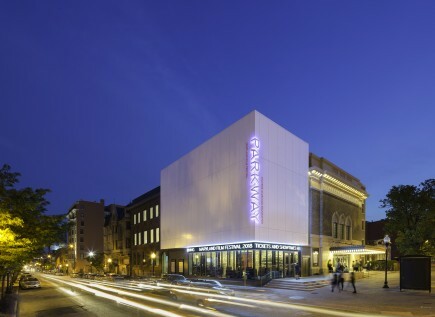 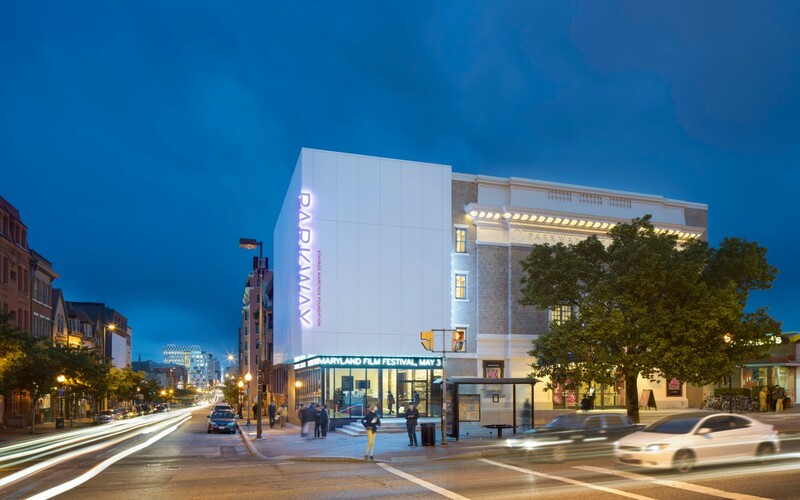 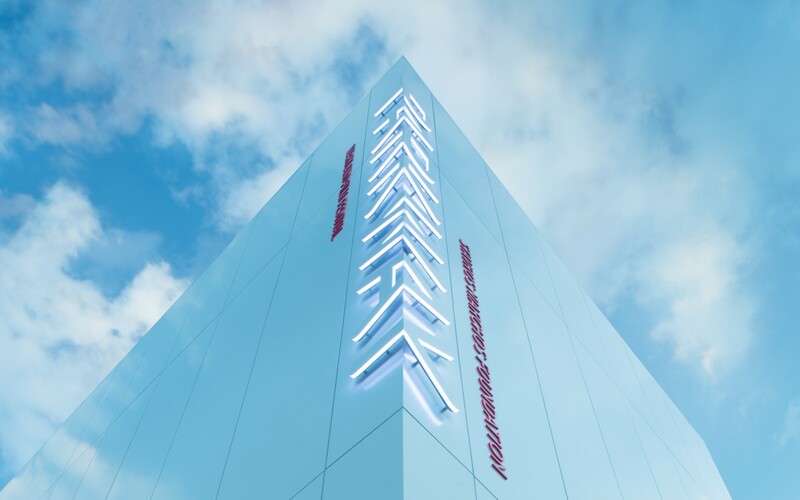 The striking pure white cube hovers above a transparent base to declare a vibrant new energy and dynamic future for the ever-evolving Parkway Theater.